What I find most valuable about AusDI is the 'Unaccepted Indications' and 'Counselling Information for the Health Care Professional' sections. The Guild and its companies are proud to have worked with HCN in the development of the new, enhanced AusDI. This is another valuable tool to assist community pharmacists in their daily practice. It is an essential resource for consultant pharmacists, particularly for medication reviews, making patient monitoring recommendations or when preparing patient counseling points and checking precautions for generic medications: “As a Consultant Pharmacist, I find AusDI an invaluable reference when writing medicati­on reviews and use it as my first port of call when looking for information. Information is well set out and easy to find using the index provided. 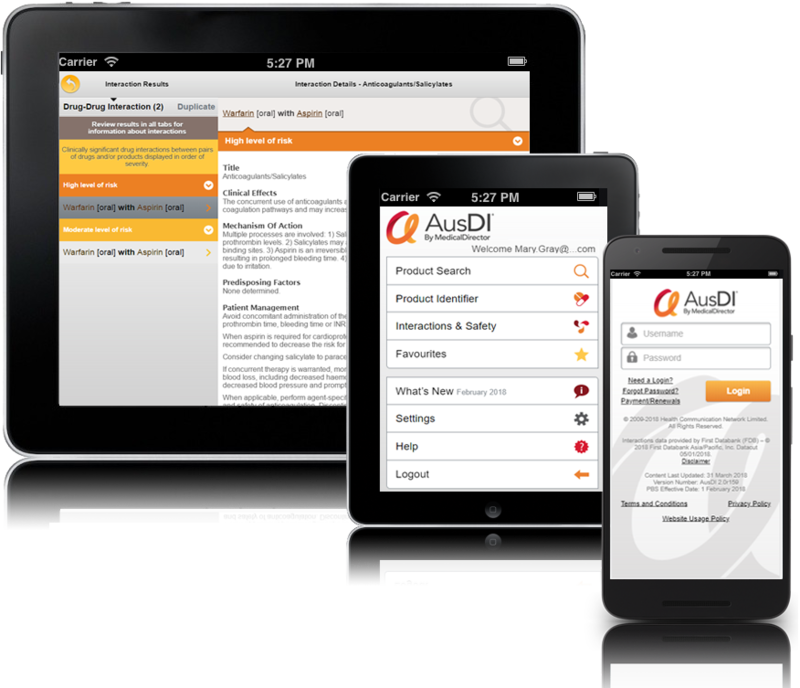 AusDI is a great source for Australian drug information and we use it regularly when teaching Pharmacy students to choose quality information resources for their research at Griffith University.